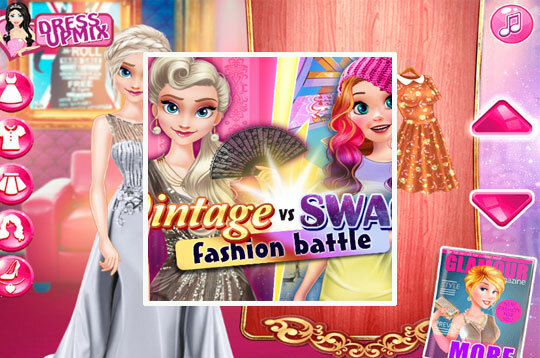 In Vintage VS Swag Fashion Battle our Princess Elsa and Princess Anna are great warriors with different styles. Elsa has the Vintage style with lace and feminine jewelry, while Anna has Swag style with bright colors. Take part in the fashion battle and see who will win! - Play Vintage Vs Swag Fashion Battle Free and Enjoy!